Public Radio's Live from Here begins its fall season on Saturday, October 6. 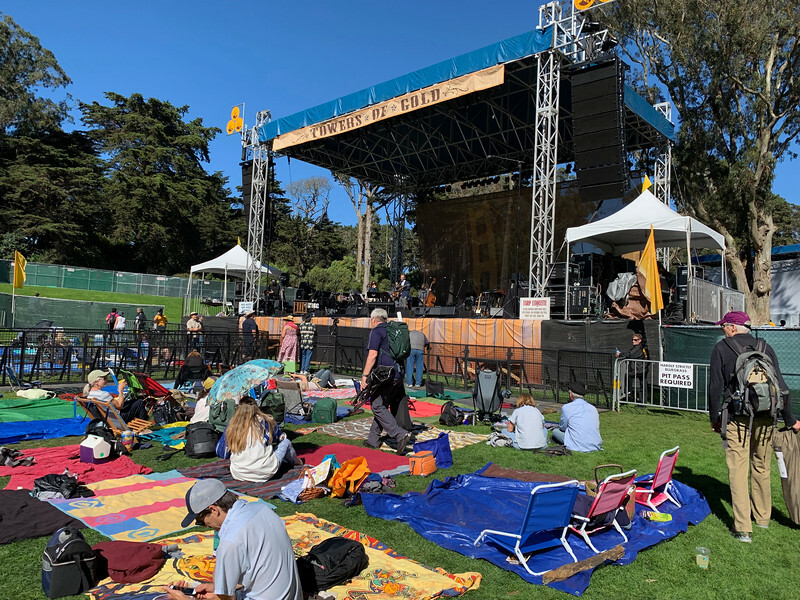 But the show was actually recorded on Friday afternoon at the Hardly Strictly Bluegrass festival in Golden Gate Park in San Francisco. I was there. In this albums are some pictures and videos taken there. The show was on the western most stage at the festival, the Towers of Gold stage, and the last still in the group, when the sun is low enough in the sky shows why. You'll note that most of folks on stage are wearing sunglasses. Yes, they were performing facing the gradually setting sun for most of the afternoon (I'm not sure how Chris carries on without them). The famous fog stayed offshore.